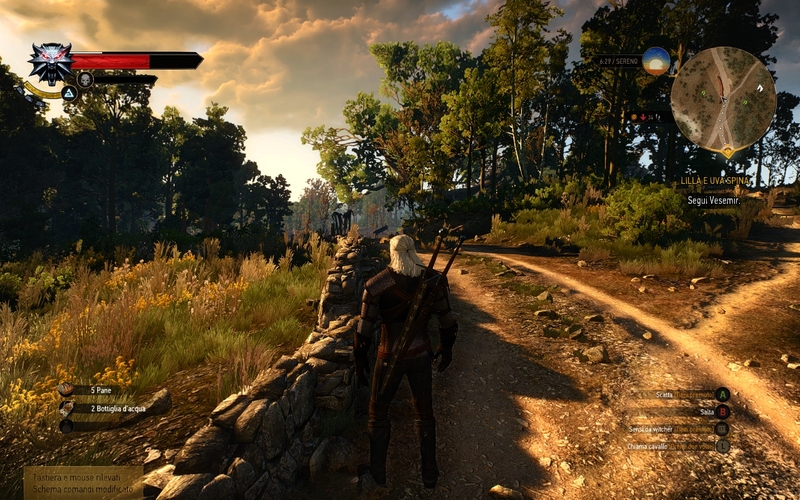 Things to say about The Witcher 3 | The Cesspit. I have lots of stuff in the archive to put on BOTH blogs but I keep delaying that. 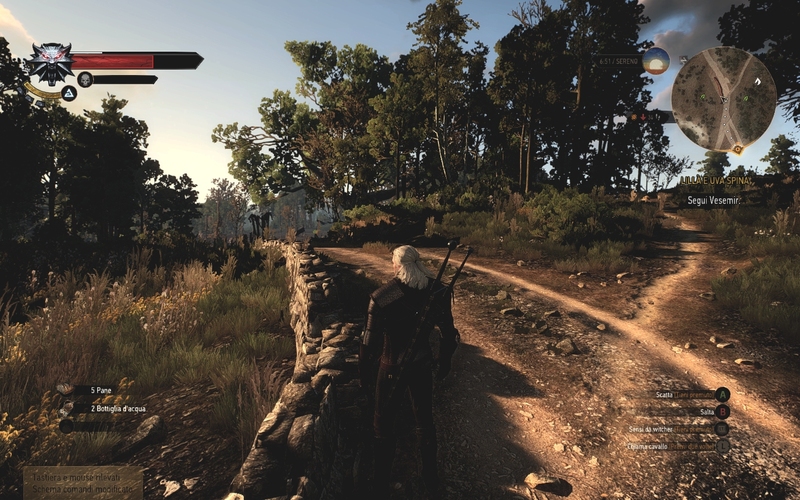 For now here’s some bitching about The Witcher 3, even considering the engine is not too bad, after all. – There was a downgrade (between real game and old trailers) and it was significant. All areas were hit: lighting is different, vegetation completely changed, clip plane murdered, object geometry reduced, pop-in detail, and NPC density. While the real game looks pretty, it still looks like a pretty, modern computer game, as opposed to the visual marvel the trailers showed. To anyone with minimal technical competency those trailers were very obvious “frauds”, you didn’t have to wait the game and be surprised that that sort of quality is out of reach. – While until a week ago the official word was: “fixed 60 fps ultra preset on a 980”. The actual truth is quite far from that. With everything maxed a 980 averages around 40-50 fps, depending on how demanding/rigorous is the benchmark. In any case, this is a game that had multiple delays, before the latest ones it was expected for early 2014, so this was a game PLANNED to run on hardware that precedes Nvidia 9xx class, this BEFORE the downgrade. So take the best class videocard at that time, a 780 TI. It means they wanted us to believe that a 780 Ti could run this game well on the kind of graphic before the downgrade. Yeah. Watch Dogs and AC:Unity have seen massive outrage from the public, and that should tell you how much perception counts. The Witcher 3 is still rather buggy, seems to crash a lot on PC (especially at weird points, like looking through the inventory), has seen a more significant downgrade compared to those games. Yet, it is a better game overall, and especially a flavor not so trite and shallow as Ubisoft games. Still, everyone is more than willingly to close an eye to the many technical problems (and gameplay, and very bad controls). So, on one hand it’s understandable that The Witcher is much better received despite its technical problem. It is largely the game everyone expected, whereas Watch Dogs and AC:U were both a technical failure on top of VERY stale (and for the most part shallow, uninspired) design. On the other hand CDP is too much fan favorite despite not really having earned that position. The engine does one good thing, and it is requiring low CPU usage overall. Yet it’s incredibly taxing on the GPU, to unjustifiable levels. Why? What people see on screen is mostly about those red light tones, and vegetation. Vegetation runs on middleware, an engine CDP bought. It’s literally about buying an engine and then buying individual trees from a library they offer you. SpeedTree, the engine that powers trees, grass and wind effects, has been really, really bad at performance since its early days of integration with that bad other piece of middleware that is Netimmerse/Gamebryo. SpeedTree is what you saw in Oblivion and DAoC. Same engine. Sure it can look pretty, but that’s all your processing power being spent entirely on a poorly optimized vegetation simulator. So no real surprise at The Witcher running so badly. It’s a bit like Hairworks, but mandatory for the experience. Beside that, there’s significant pop-in about objects and actors, delivered through that ugly dithering effect that seems to be a default of DX11. Entire buildings warping and morphing in and out of existence, textures missing. And that’s the patched game. I’m quite sure that if they showed that footage they wouldn’t have won so many prizes. And that’s the problem. Looking back, they win. This practice of being deliberately dishonest and going for what’s convenient for that moment has paid off. They get glowing reviews all over the place, with minor notice for bugs and technical problems. – SSAO looks better than HBAO. Use SSAO for better performance. – Foliage range HUGELY affects performance, especially going from high to ultra. So keep on high. – Foliage density has a small impact, but “medium” actually looks better than “ultra”. Use medium. – Set other settings like water detail, detail level, terrain, all to “high”. Most of these have currently no effect at all, so it’s all placebo. THEN (following tweaks come at very little performance costs). – Open the archive and dump the content in the witcher /bin/x64/ where the game .exe also is.